Savouring LITTLE SEEDS, the new album from Shovels & Rope, is allied to a fascinating pre-occupation of exploring shoreline rock pools, and its many discoveries make this one of the most valuable albums to be released this year. This follow up to the excellent 2014 album SWIMMIN’ TIME is the duo’s debut issue on New West Records and unveils itself as meaningful music with a conscious. Edgy and exciting in phases, moody and reflective elsewhere, essentially there are twelve tracks (a thirteenth is a short accompanied spoken word recording preluding the final track). If you like a scattered melange of folk-indie-Americana spiked with a little punk, fast track this album into your collection upon release. 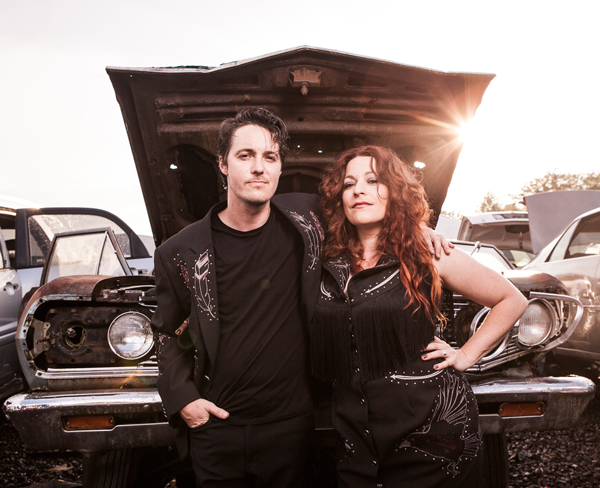 Husband and wife pairing, Michael Trent and Cary Ann Hearst have been active as the duo Shovels & Rope since 2008, accruing heaps of industry praise especially in recent times. For this sure-to be much celebrated release, Trent has undertaken the production duty and kept the work further in-house by sharing all writing, instrumentation and vocals with Hearst. This element of control has allowed an inventive production process to prosper thus creating a piece of art ripe for positive perception. You are entirely kept on your toes throughout the album’s evolution with the duo rarely settling on a straightforward sound. This enhances the enjoyment capacity. The scratchy opener emerges as a rampant indie number complete with fuzzy guitars and fiery duet vocals. ‘I Know’ has been selected as one of the record’s promotional tracks and rather than defining the album settles as one of its numerous landing points. More in the same vein is the utterly compelling ‘Invisible Man’, a slice of melodic punk and steering the lyrical content in an Alzheimer’s direction. To complete a trio of left field racy efforts, second track ‘Botched Execution’ explodes from its acoustically strummed opening to evolve into a lyric-laden pacey track. The more folk and roots appeal generally lies in the slower numbers introduced early in the record with the unveiling of another promoted track, the mandolin-featuring ‘St. Anne’s Parade’ complete with fascinating story backdrop. On the topic of interesting folk style songs, a trio of latter stage album tracks add to the record’s depth. A strong cutting chorus to ‘Johnny Come Outside’ flavours this harmonica-featuring song addressing the issue of over-medicating children. Another appealing chorus, or rather strapline, ‘don’t going whistling Dixie on Missionary Ridge’ adorns the Civil War story ballad, understandably titled ‘Missionary Ridge’. There was a fabulous metaphorical song about the San Andreas Fault written by Canadian songstress Amelia Curran a few years ago and this geological feature is the dividing line for the rather impressive track ‘San Andreas Fault Blues’. Here the couple from South Carolina, settle on a Golden State theme thousands of miles west with references to Tom Joad, Bakersfield, Nudie suits and a certain Grievous Angel. To further spin the album on a geographical/historical axis, alt-country style heartland rocker ‘The Last Hawk’ opens with references to Woodstock and 1968 before unravelling as one of the stand-out numbers. The joy of exploring this album extends into two lower key tracks from this viewpoint, namely the punchy alternative ‘Buffalo Nickel’ and the tuneful slow burner ‘Mourning Song’. On a more explicit level, the subject of racial unity is championed in the evocative, minimal and intensely principled ‘BWYR’ showcasing the power of purposeful music. The final two tracks are presumed existentially linked with the recorded re-collection of the circumstances surrounding ‘Eric’s Birthday’ leading into the escalating climactic closer ‘The Ride’. Ultimately this represents the many nooks and crannies of LITTLE SEEDS that will only be fully discovered with a multiple of intense plays. 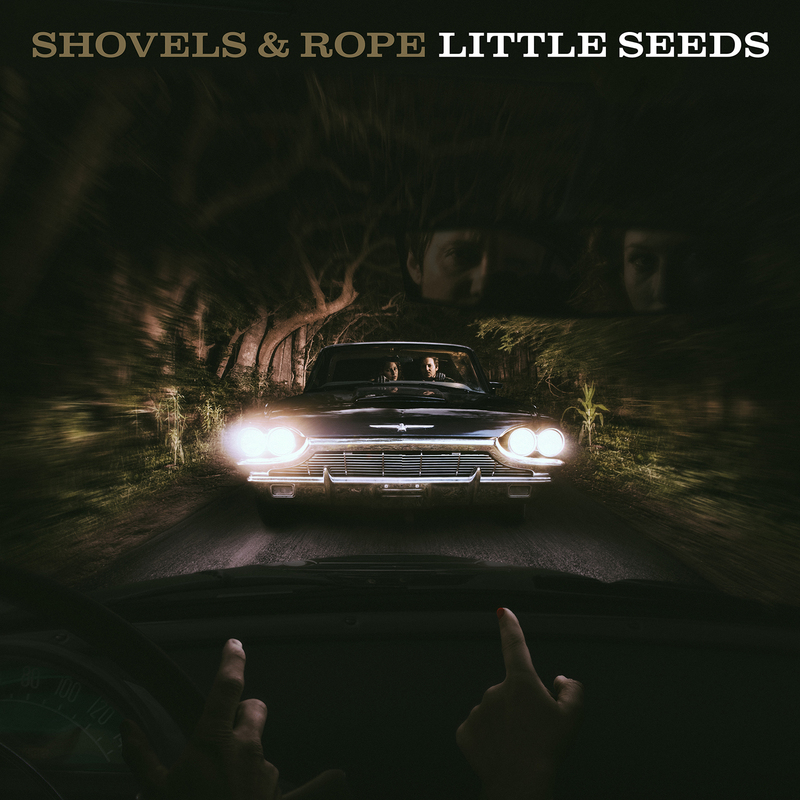 The good news in the run up to the release of LITTLE SEEDS is that Shovels & Rope have announced a trio of UK show dates in early 2017, where the new material is sure to feature prominently alongside their equally as impressive older songs. In the meantime, grab a copy of the new record and wallow in a collection of eclectic sounds and themes which will without doubt seep into your DNA.